Bathroom gutting. What a big job. When it’s time, it’s time to make the change and give it a refresh. That means a whole new look. And, it also means being aware of delivering as much function as possible.The real trick about a bath remodel isn’t the actual work. It’s whether the refresh is worth the investment. After all, a renovation that doesn’t bring a decent return on investment is wasted time, effort, and money. So, be sure it’s going to fetch at least a moderate ROI. Now, it’s important to note the ROI is dependant on a few factors. One is age, another is size, and geographic location. On average, a bath remodel will return about 64 percent. But, this depends on where your home is located, whether it’s a minor or major makeover, and what materials are used. 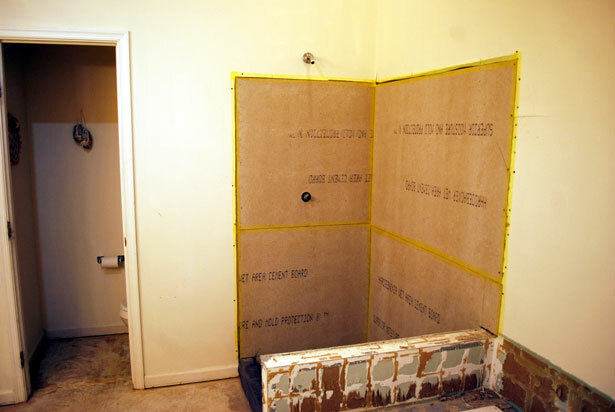 Before you delve into a bath remodel, whether it’s a minor bathroom remodel or a major bathroom remodel, you should know it’s not going to generate a worthwhile return-on-investment. In fact the annual Remodeling Magazine Cost vs. Value report reveals bathroom remodeling to be the 15th on the list of nineteen remodel project ROI. The study shows an average bathroom remodel costs $18,546, but returns $12,024 or 64.8 percent upon property resale. Remove all fixtures from the space. Strip all the fixtures from the walls (medicine cabinet, towel racks, and more). Then, remove the vanity first, toilet next, and finally, pull out the tub/shower. This will create more space as you remove each one so it’s easier to get the larger fixtures out. Take out the vanity. Lastly, you need to take the vanity out of the space. Start with removing the doors and then the top. You might have to pull the sink out and then remove the top. When you need remodeling debris removal, go ahead and phone 800-433-1094 or visit Junk Garbage Removal.